Marin Stone Care provides expert craftsmanship to hone or polish out scratches and etch marks, and return the original luster to your stone. Sanding with diamond abrasives is the most durable polishing method and is also the only choice for restoration. 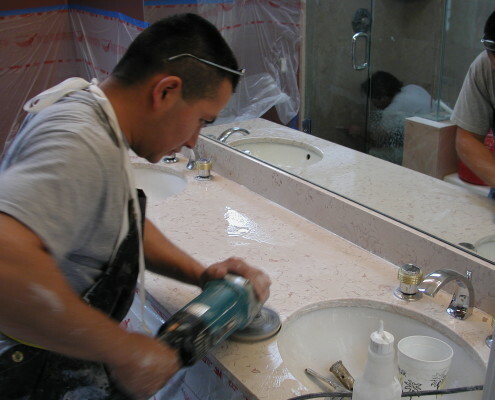 This method involves grinding the surface of your stone down with commercial grade diamond abrasive pads. Successively finer pads are used to bring out a shine. 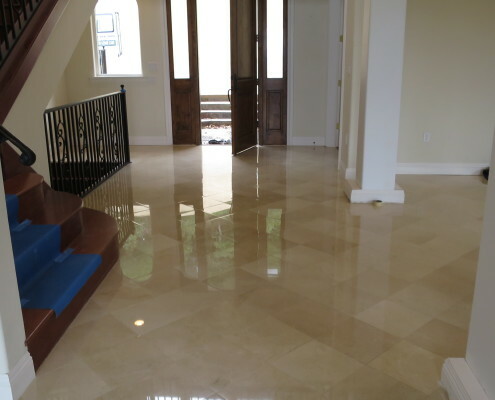 The final step is to use a polishing powder applied with a buff-ing machine to bring out a mirror-like shine. 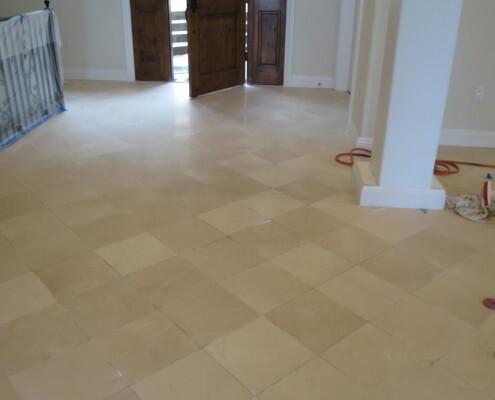 In many cases where the stone surface is not too badly damaged, a polishing powder is all you need. We offer an on-site test patch that will demonstrate dramatically the results that can be achieved.